Some people wonder why anyone would collect anything. Steven Kahn said his reason is simple. Steve Kahn, owner of Inner Child, located at 5921 Sixth Ave. A., poses with his five copies of “Amazing Fantasy 15,” the comic book where Spider-Man was introduced to the world. Kahn doesn’t remember a time when he wasn’t collecting. As a young boy, he waited every Friday evening for his father to come home from his trips as a traveling salesman. He arrived with little wrapped bars of soap from the motels he had stayed at. This was his first collection. Since then, Mr. Kahn has expanded his collection to include comic books; he guesses that he has 100,000-200,000 comics. 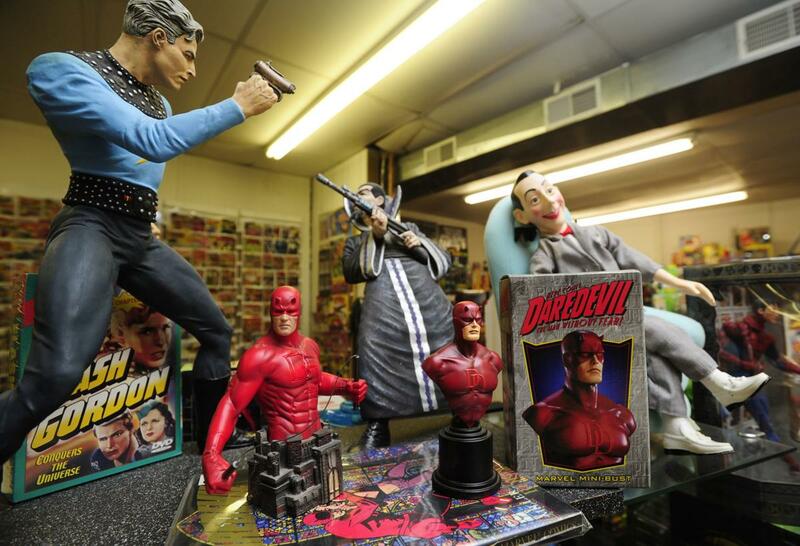 He also has an extensive collection of toys that appealed to boys growing up in the 1940s, ’50s and ’60s. 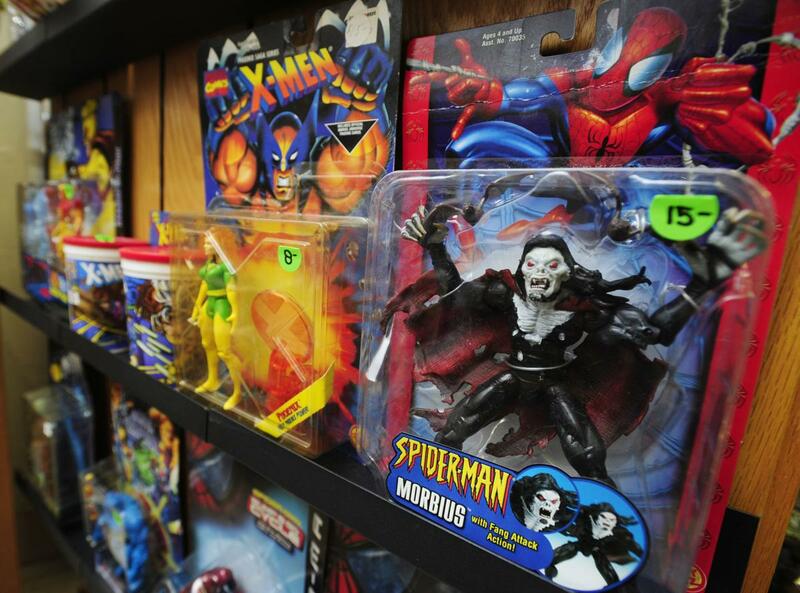 And while Kahn doesn’t read his comics, he collects and appreciates them for a different reason. 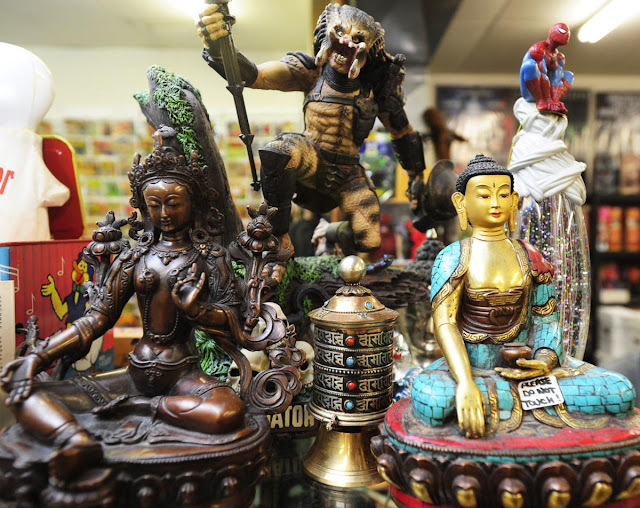 Kahn believes that finding his collectibles is the fun part of his hobby. While he can’t reveal exactly where he gets his collectibles because the marketplace is so competitive, he said he travels with wide-open eyes. He has traveled to Indonesia, Afghanistan and India, and has found objects that showed artistic expression. “Many of my most dear collectibles are not necessarily valuable or beautiful, but I may have lived with the artist or shared something with the artist that was very special,” he said. 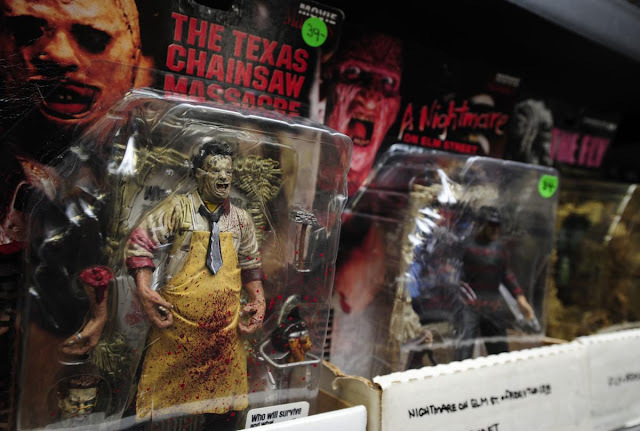 With all of the things he has been collecting, Kahn has outgrown his storage lockers; he finally bought a warehouse in Kenosha, WI, early in 2011. 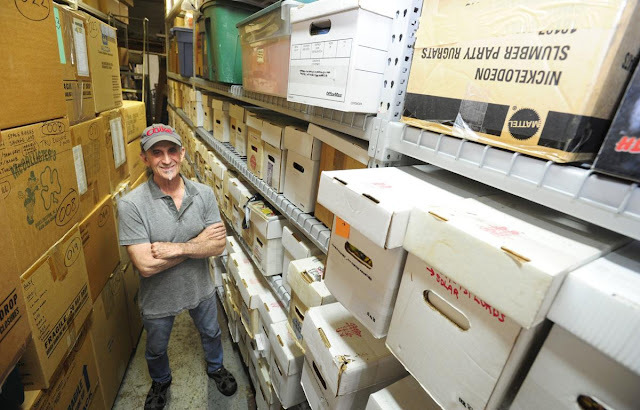 Steve Kahn poses in his warehouse of comics and toys. Kahn and his family spent time cleaning and converting the warehouse they purchased in the historical area of downtown Kenosha into a 2,500-square-foot storefront. They named their store the Inner Child because the items in the store make your inner child feel good and brings you back to your childhood. Upon entering the store, anyone born after 1950 will find things that remind them of their youth. 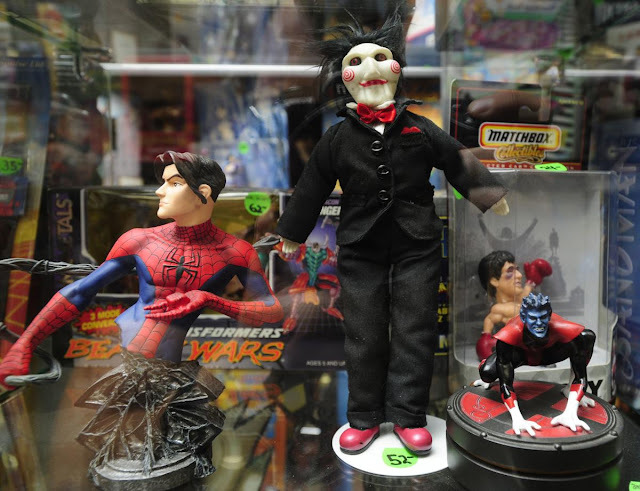 Both sides of the store highlight figurines and vehicles from many of the characters in pop culture. 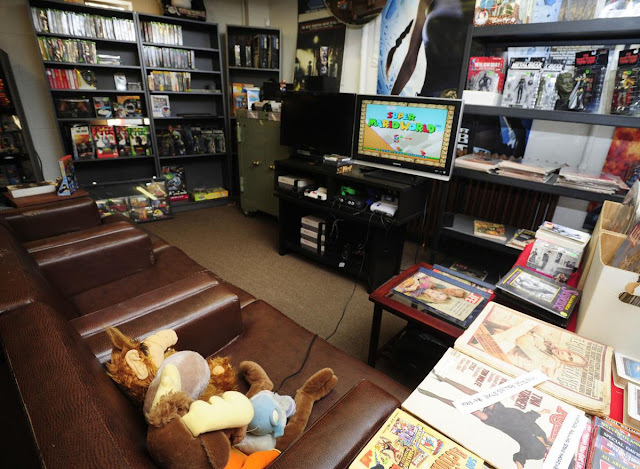 In the back left are comfy leather chairs where visitors can play Nintendo games; you just need to pick up the controller and pick from the hundreds of games Kahn’s son has collected. 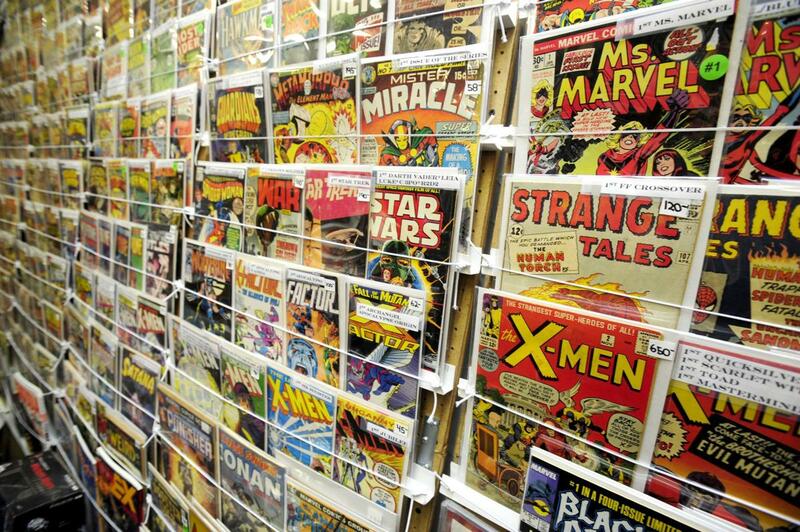 The back of the store is the wall of comic books ranging from the Silver Age, Golden Age and Bronze Age. Ten thousand comics are displayed in boxes. And while some of the comics are first editions — and quite pricey — most of the items in the store are reasonably priced. 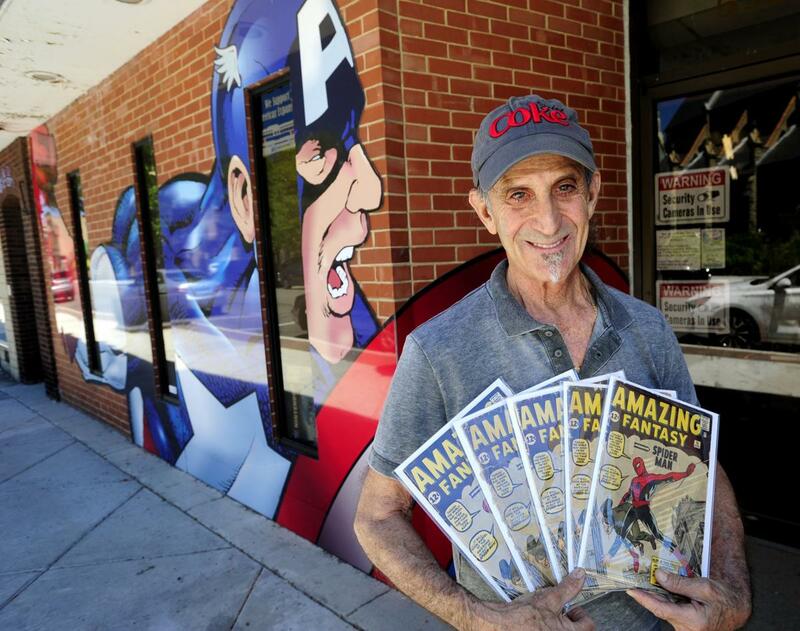 Steven Kahn loves sharing his stories and collectibles with people of all ages, and is delighted he can share his things with the little community of Kenosha. 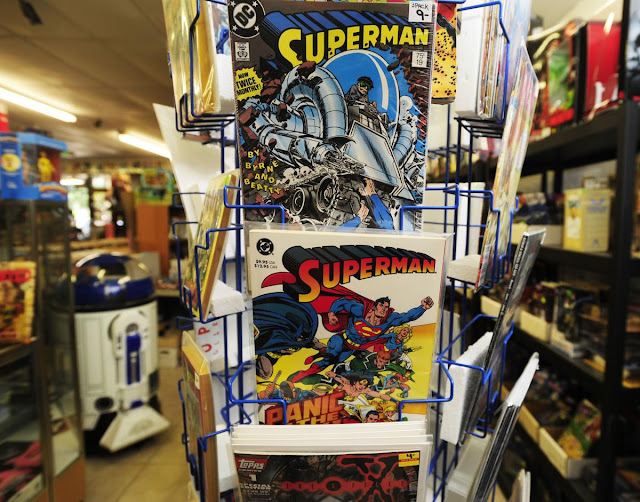 The comic book wall at Inner Child store, 5921 Sixth Ave. A, features valuable comics. Figurines at Inner Child store, located at 5921 Sixth Ave. A.
Steve Kahn’s horror collection is popular at Inner Child. 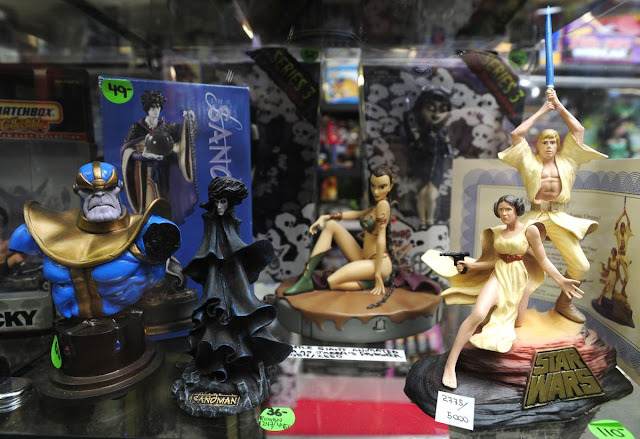 Figurines at Inner Child store. Video game area where patrons can test out the wares at Inner Child store. 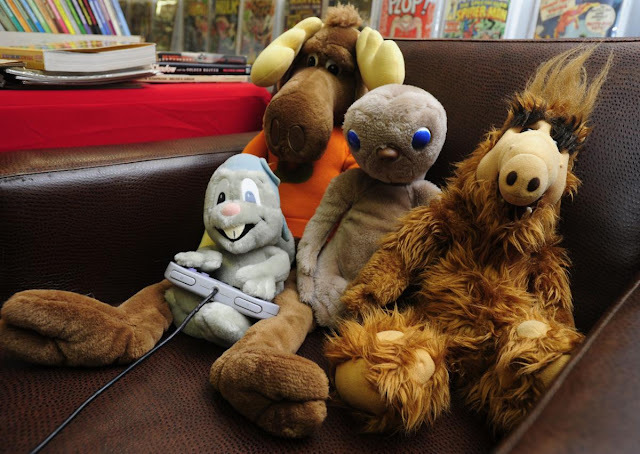 Vintage stuffed animals hang out in the video game area of Inner Child store. 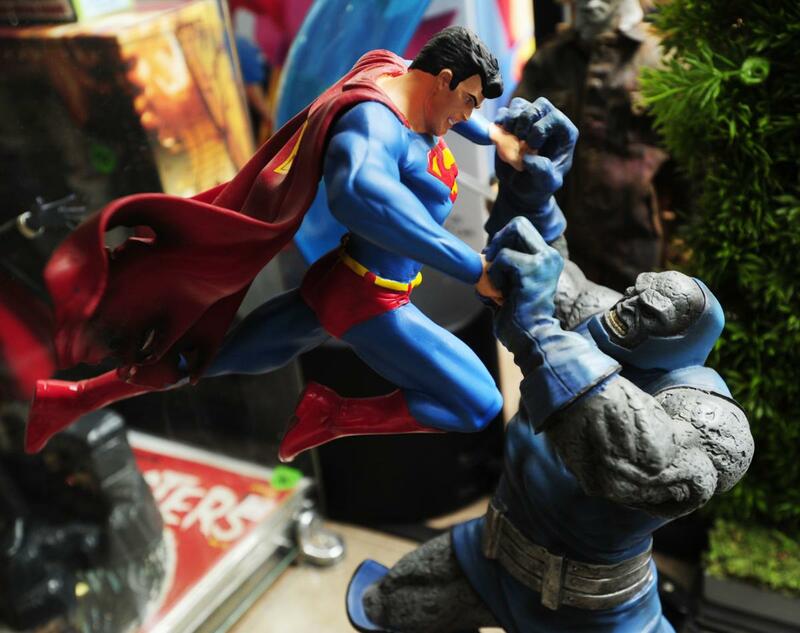 A figurine of Superman in a fight at Inner Child store. Wrestling figurines at Inner Child store. A handmade figurine of Superwoman at Inner Child store. 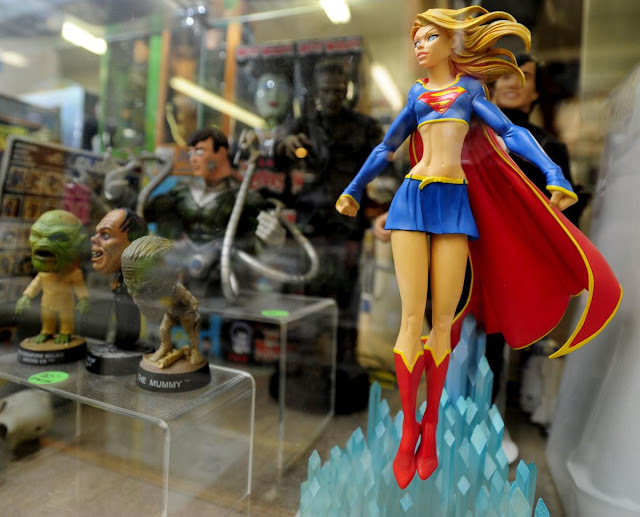 Figurines of Superwoman at Inner Child store.